Of the end of its journey. Growing up on the remains of a recent dairy farm I spent quite a bit of time in the steep hillside pasture, barren of cows, grass growing taller than me in some places. The grasses themselves, like water, had a collective presence that I always felt I was walking among. When I had my first solo art exhibit, in addition to the artwork, I worked my writing into the exhibit by pairing images with poems or essays or statements to make little flyers that I could print out on 8.5″ x 11″ paper and mount on the wall. 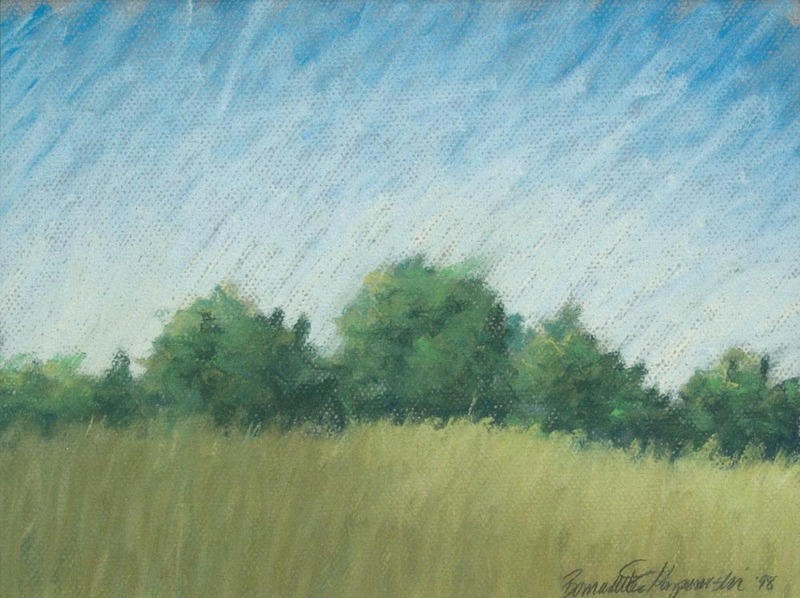 I used the poem Field of Grass with the ripened late summer field from Settler’s Cabin Park that I’d stood in the middle of the old park road to sketch on a piece of Canson pastel paper, watching the sun and shadow move across, watching the stalks wave together and whisper like a clique of teenagers . 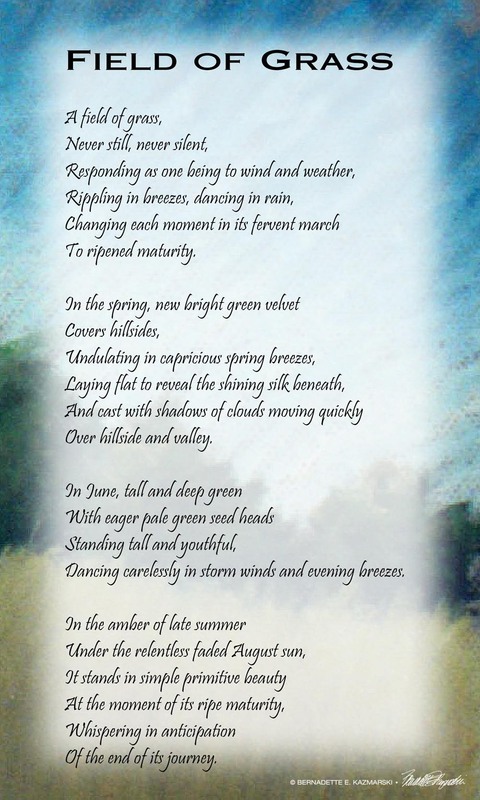 Poem, “Field of Grass”, and painting.